A veterinary practitioner’s tasks involve much more than treating animals and caring for them. As someone involved in the business of tending to animal companions, you also need to focus your efforts towards the smooth functioning of your practice while making it visible to prospective clients. There exist multitudes of healthcare and patient management systems in the industry to help you with the same, but these tools can pose restrictions or limitations when employed in veterinary practice. A veterinary practice management software (PMS), on the other hand, is tailor-made to simply your vet practice by offering seamless workflows and integrations that allow practitioners, staff, and all other stakeholders involved to provide high standards of care to pets. 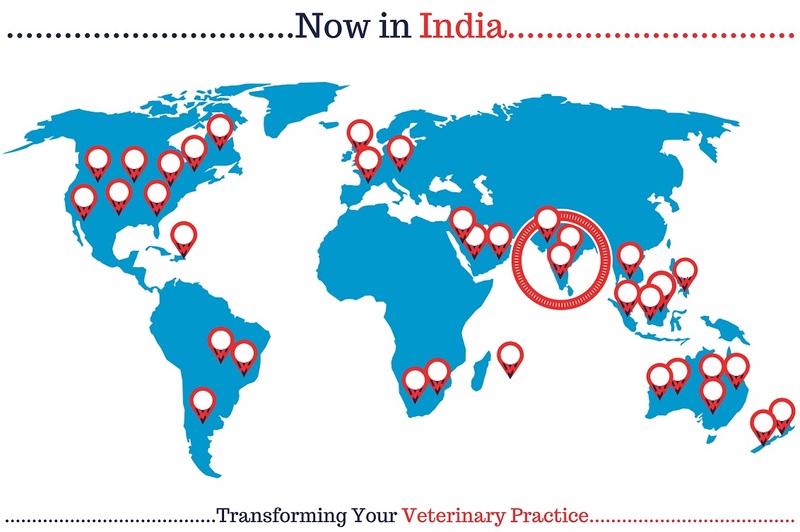 VETport, one of the most trusted veterinary PMS in the US, UK, Australia, and New Zealand, is now available to Indian veterinary practitioners. An affordable, cloud-based veterinary practice solution, VETport has helped over 5000 veterinarians cater to 1.75mn + clients and treat 2.7mn+ pets worldwide. This easy to learn and easy to use software works well for veterinary practices of all sizes from single owner clinics to multi-clinic chains, specialty hospitals, mobile units, and even NGOs. The application comes with multiple, flexible pricing options and also offers options for unlimited customization. Read on to know more about the impactful features of VETport that make a difference in the way you operate and grow your veterinary practice. Maintaining patient histories by scribbling notes into your case diary or a spreadsheet can have its limitations. VETport’s cloud-based PMS allows you to create Electronic Medical Records, which can be accessed at the tap of a button from your internet-enabled device like a personal computer or a smartphone. What’s more, these documents allow collaboration, enabling other vets, specialists, and staff to contribute to or edit information as required. The feature is built with options for customization, allowing you to create your own examination and case history forms as needed. These forms are also designed to carry memos, attachments, education forms, lab records etc. enabling you to view information related to a patient or case in a unified manner. Furthermore, these EMRs can be printed, faxed, emailed, or downloaded as PDF files for sharing with other stakeholders in the practice or with vet owners. Tech-savvy pet owners of today do not consider veterinary practice to merely be means that get sick pets back to good health. These folks expect care providers to match the standards of the service industry, one of which happens to be hassle-free appointment booking. Any clinic that does not have the option for online appointment scheduling can miss out on many prospective clients thanks to their tedious, traditional means that require over-the-call appointments or walk-ins. While many clinics resort to the use of appointment scheduling solutions, VETport offers this feature alongside many others, on a single platform. The online appointment booking feature displays to clients the names of the practitioners, as well as the free slots for consultation. This way, uniform data gets displayed to practitioners, staff, and clients alike, thereby eliminating the chances of mix-ups or mess-ups. Online schedulers also free up precious time for staff who would otherwise need to spend countless hours attending to phone calls and making manual entries for appointments. Accessing lab reports is made super easy with VETport. The platform integrates with major diagnostic laboratories including Idexx, Antech, Gribbles, Fuji Labs, Avid Labs, Abaxis, VetScan, and Vet Rocket. Integrations allow you to examine lab reports directly from the VETport portal than having to wait for an email or physical report published by the lab. These reports are integrated into the Electronic Medical Records as attachments, thus saving precious time in treating the pet. VETport is a one-stop solution for billing and invoicing needs of veterinary practices. The tool allows you to generate invoice, apply cash or discount coupons, initiate refunds etc. It integrates with multiple payment gateway providers, which help you accept payments from clients in varied modes, in a hassle-free manner. Direct Connect, Open Edge, Gravity Payments, Payment Express, and TSYS enable you to receive payments through credit cards, debits cards etc. over the phone or through point-of-sale swipe in facility. From medicines to syringes, gloves, sterilizing solutions, surgical tools, dressing aids, work equipment, and stationery, there exists an extensive list of inventory and supplies, which when managed ineffectively, can result in hampered operations at your veterinary clinic. VETport minimizes this risk by removing as much manual intervention as possible from inventory management. The Inventory & Supplier Management module implements a ‘Basket Management’ system that creates a link between different vendor items, their stocks, and procurement plans. This feature allows you to add items, modify their quantity and price, manage new and existing vendors etc. It provides you reports on current stock levels, expired supplies, transaction details, and so on. Plus, there are in-built reminders that prompt you take action to when inventory falls below set levels. Additionally, the tool enables you to raise purchase orders when necessary or add stock without the same, if desired. Many veterinary practices offer boarding services for sick pets. Traditional patient or healthcare management systems can be ineffective in this regard. VETport addresses this need of veterinary clinics and hospitals through the Boarding module. The feature allows you to create cages by building, floor, and room types for easy management of admissions. In addition to the same, the tool provides you a real-time status of the pets boarded, their cage numbers, the admission dates, etc.